A number of Palestinians were kidnapped by the Israeli occupation forces (IOF) at daybreak on Sunday in abduction sweeps rocking the West Bank and Jerusalem. Israeli patrols rolled into Bethlehem’s southeastern town of Tekou’ and wreaked havoc on the home of Palestinian ex-prisoner Murad Jabreen. Palestinian young man Mujahed Issa was kidnapped by the IOF from his family home in Bethlehem’s southern town of al-Khader. 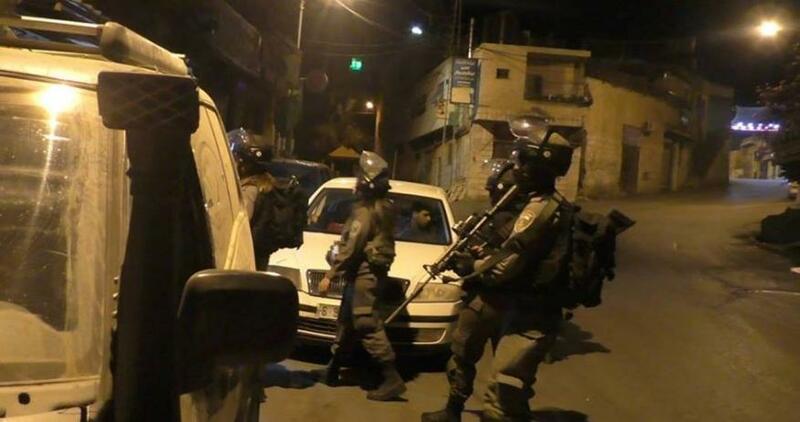 The IOF summoned the elderly Palestinian citizen Muhammad al-Ja’ba, aged 86, to questioning after they broke into his family home. Overnight, 16-year-old Mohamed Aslan and 19-year-old Abdul Malek Abu Latifa were arrested by the IOF at Qalandiya military checkpoint, north of occupied Jerusalem, over allegations that they were holding sharp objects.